How do I choose angle brackets? 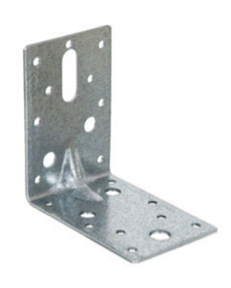 Angle brackets are used for many applications on construction sites and because of that they are available in a multitude of different sizes and designs. In addition, they are used for DIY, gardening, home repairs and renovation projects. In fact, angle brackets are an essential piece of kit to have with you on any kind of construction or gardening project! Here, we look at some of the factors that you need to considered when choosing where to source your Angle Brackets. What quality standards apply to Angle Brackets? Heavy duty general purpose angle brackets should be manufactured from 2.5mm thick galvanised steel to BS EN 10346:2009 +G275. If you choose Angle Brackets made to this specification you can be sure they are durable, low maintenance and will do the job they are intended to do. 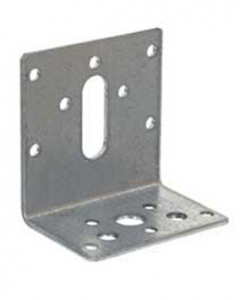 All our general purpose heavy duty angle brackets are made to this standard. Our range of AB40 Heavy Duty Angle Brackets are manufactured from 3mm thick galvanised steel. The 40mm wide brackets and plates provide a strong connection, allowing for the use of bolts, nails, screws and coach screws. They are suitable for timber to timber, timber to masonry and timber to steel applications. We also offer a number of light duty Angle Brackets and connectors, and these ranges are complemented with flat connector plates, ‘T’ and ‘L’ shaped brackets and corner plates – ensuring you always have the right connector to hand. What angle brackets should I use in harsh environments? Our AB40 Heavy Duty Angle Bracket range is manufactured in stainless steel grade 304 austenitic to BS EN 10088-2 Grade 1.4301. It is available from stock in all sizes, giving you a versatile reinforced bracket for 90 degree connections in harsh environments. The AB40 Angle Bracket is suitable for connected to timber or masonry, or combination of both, using nails, screws and / or bolts and coach screws. What other factors should I consider when choosing an Angle bracket supplier? There are many factors to consider when choosing an angle bracket supplier. Cost is usually high on the list although it is important to balance this against quality and look for a range that offers all round value for money. Call backs to site because an angle bracket is rusting prematurely or failing in some other way is usually the consequence of choosing the wrong supplier! Other important consideration when choosing angle brackets include material, finish, strength, constructability, availability and service. It is always better to take these into account before making a final decision. Most construction projects need hundreds of angle brackets, even thousands on larger developments, so it is important to evaluate what each range has to offer. Get it wrong and the cost of replacing them doesn’t bear thinking about! What type of Angle bracket? What is the best finish? Most Angle Brackets are supplied with a galvanised finish. The principal benefit is that the galvanised coating can have a life expectancy far in excess of 50 years. The galvanised coating we use on our angle bracket ranges has a tough metallurgical structure that gives outstanding resistance to mechanical damage in transport, fitting on site and service. Our galvanising process also ensures that every part of the angle bracket is protected, even recesses, corners and inaccessible areas. This isn’t possible with other, non-galvanised coatings. Are there other coating choices? 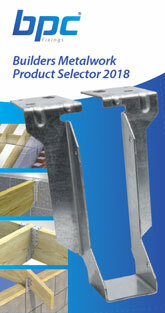 Where an angle bracket is visible you may wish to choose our Dual Coat Angle Bracket range, which includes angle brackets, joist hangers and universal connector plates. The range is suitable for a wide range of garden, DIY and landscaping applications as well as furniture upcycling and re-painting projects. It is manufactured from galvanised mild steel and then powder coated after fabrication for superior dual coated corrosion protection – providing both superior performance and a more aesthetically pleasing appearance. Angle Brackets can accommodate most situations that require connectors and that makes them an essential item in any builders’ metalwork toolkit. 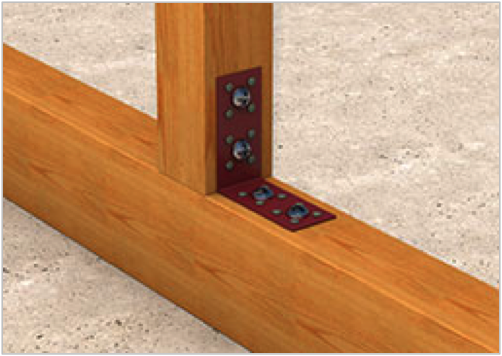 They complement our range of joist hangers, wall brackets, restraint straps, floor joists and other timber to timber and timber to masonry connectors.